Home » Tax » What are Estimated Quarterly Tax Payments and When are They Due? Are you running your own business, working as a 1099 contractor, or earning some extra income on the side? If so you need to be aware of the requirement to regularly make estimated tax payments to the Internal Revenue Service throughout the year. These required tax payments help you keep current with the IRS and avoid penalties and fees. What are Estimated Quarterly Tax Payments? The Internal Revenue Services doesn’t like going an entire year without you paying taxes. That’s why if you are working as a W2 employee at a company your taxes are taken out of each paycheck. What you probably didn’t know is that each quarter your employer then sends the money off to the IRS on your behalf. If you are a business owner, 1099 contractor, or running a side business, no one is taken taxes out of your revenue or income whenever you are paid. 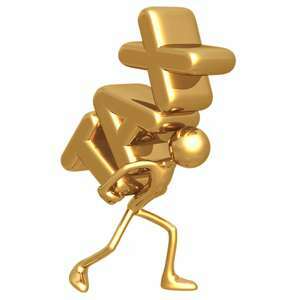 The burden of paying your income taxes each quarter now falls on your shoulders. Each quarter that you generate a positive net income before taxes, you need to calculate how much tax you will owe on those earnings and hold onto it. At the end of each quarter (based on the IRS’ schedule below) you then pay your estimated quarterly taxes to stay current with the IRS. The calculation doesn’t have to be 100% perfect (you may have chargebacks, late payments from clients, and so on), but that’s why it is called estimated quarterly taxes. When are Estimated Quarterly Tax Payments Due? Each year the Internal Revenue Service makes the public aware of the estimated quarterly tax payment schedule for the year. Note: The second quarter is only two months when it comes to estimated tax payments. The fourth quarter is four months. Technically a quarter of the year is three months, so don’t be fooled into thinking you can wait to send in 2Q taxes until July 15 – you’ll be late. The payment due date can change based on the specific year, so be sure to check out the IRS website. The only reason the dates change is when the due date falls on a weekend or holiday. For example, if September 15th is on a Saturday (like it is in 2012), the due date is pushed back to the next business day – Monday, September 17th. Unfortunately not paying your taxes on time can result in penalties or fees from the IRS. If you make more than $150,000, then you can pay 90% of this year’s tax owed or 110% of last year’s tax owed in the same manner. How Do I Pay Estimated Quarterly Tax Payments? You can simply fill out a form and mail in a check each quarter to the IRS. Alternatively, the Electronic Federal Tax Payment System (EFTPS) allows you to set up automatic and recurring tax payments. You get an electronic confirmation and don’t have to worry about your tax payment being lost in the mail.